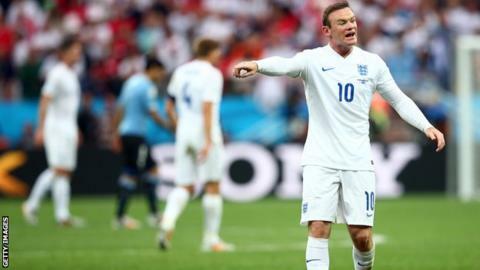 Roy Hodgson is expected to announce the new England captain on Thursday. Manchester United skipper Wayne Rooney, 28, is the favourite to take the armband from Steven Gerrard, 34. Gerrard, the Liverpool captain, retired from international football in July after England were eliminated from the World Cup at the group stage. Rooney was named his club's captain by new manager Louis van Gaal earlier this month, succeeding Nemanja Vidic, who has moved to Inter Milan. England take on Norway at Wembley Stadium on 3 September in a friendly before beginning their Euro 2016 qualifying campaign in Switzerland on 8 September. They will also be without Frank Lampard - on loan at Manchester City from Major League Soccer side New York City FC - as the 36-year-old midfielder announced his international retirement on Tuesday after winning 106 caps. Hodgson is expected to announce his new captain at a 12:00 BST press conference.